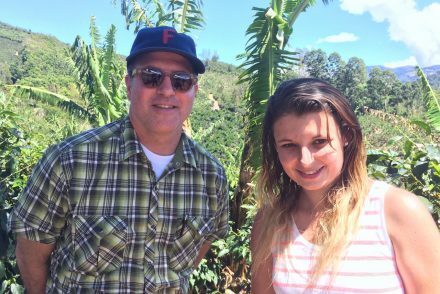 For a week in February, Volcafe Way Farmer Support Organization (FSO) leaders from Costa Rica, Honduras and Guatemala traveled together, playing host and guest in each other’s countries. They showed off their progress of the last year, considered what they do differently, and looked for successful practices to bring back to their teams. The day after their travels, we caught up with Roberto Cardona, the FSO leader in Guatemala, as he drove between Guatemala City and Antigua, to the Pastores Mill (above). Genuine Origin: Will you tell us a bit about what you do? 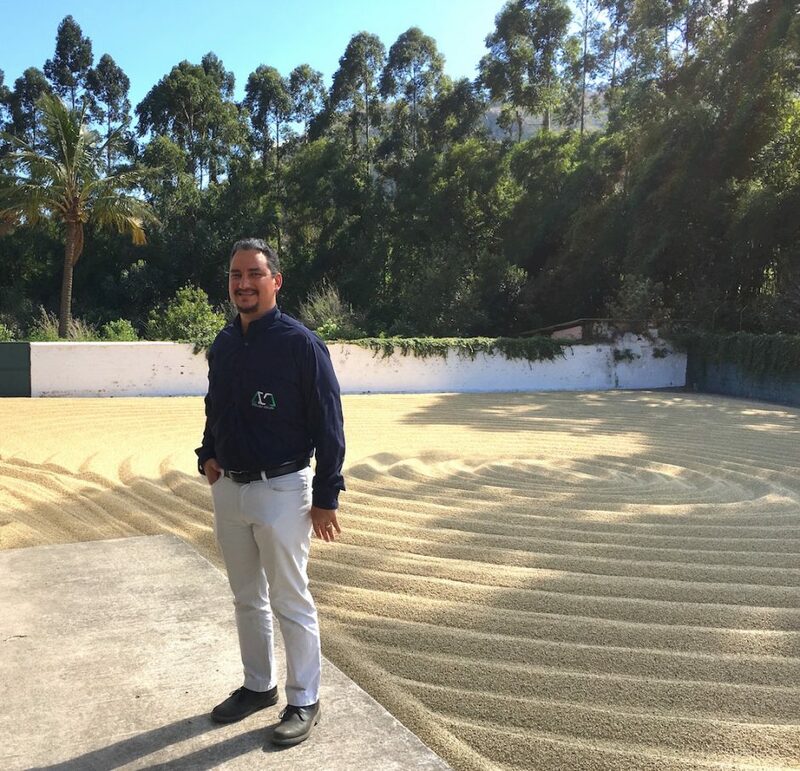 Roberto Cardona: I’m in charge of the Volcafe Way operation here in Guatemala. I have two coordinators, one in the west of the country and the other in the east/center. And we have six technical assistants — three in the center/east and three in the west, in Huehuetenango. What we’ve done is start the implementation of model farms in all the different areas, and I follow up on the work and how the teams are collecting data from the producers and analyzing it to understand what are the most important challenges. Based on that, we plan out the whole year and the work we need to do. GO: How did you come to this job? RC: I was based in Indonesia for six years, for [Genuine Origin parent company] Volcafe. I was also in charge of what we’d now call the Farmer Support Organization. I established that there. Basically, we were forming farmer groups for RFA certifications, and café practices and UTZ. 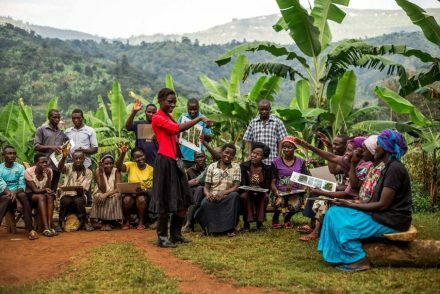 We established model farms and farmer field schools, and the teaching part of the program was really similar to what we’re doing here now with Volcafe Way. GO: Were the challenges there different? GO: Did they have to do with culture? Agriculture? RC: Culture, language, the coffee process is totally different from here. It’s also a different religion. It was very complicated. GO: What was the best part of that experience? RC: The cultural immersion. I was basically thrown into the mountains, to see what I could do there. It was a very rich experience. It really opens your mind to acknowledge and accept that everybody has a different way to think, and that you need to accept that. Roberto (left), with Carlos Gómez, a technical assistant in San Antonio La Paz, Guatemala. GO: In the last two weeks, what was something that made you feel good about the work you do? RC: This last week, we were with the teams from Costa Rica and Honduras, visiting our model farms and showing off the work that we’re doing in Huehuetenango and Cubulco. And to see how much the people we work with, the technical assistants and the coordinators, how much they’ve grown, and how they’re making the Volcafe Way a part of their lives. It was really amazing. That’s what we saw in the field just now, and it’s exactly what we were hoping for, from the beginning of this program. GO: Did being with teams open your eyes to anything new? RC: Oh, yes. At the conclusion meeting, we were discussing the things we saw over the week, and I commented about one of the guys in Costa Rica, Alonso Rubi, how he can really see a coffee plantation and know what he needs to do. He’s very knowledgeable about the coffee plant, and how it reacts, and how do you use that reaction many years from now. It’s something amazing that we need to do more of here – really train our eyes and our feelings to be paying attention. Because, plants talk to us. They don’t actually speak, but there are so many things that, if you pay attention to them, they’re telling you: You don’t need to do this right now, please do something else that can help me better. GO: That’s a fascinating idea. Can you give an example? I was like, wow! It really opened my eyes. I’ve never seen that, and people I work with had never seen that. And, the pruning was fine. But, that was something we always need to see more — someone really paying attention to the details, to the plant. The plant is actually telling you not to prune this year, even though it’s on a planned cycle. It’s saying it’s not ready. So we decided to leave the rest, and next year we’ll come back. And I have to say, we’re always careful. We take very seriously the practices we do, and the advice we give. But this was different. It was about being tuned in to the plant and really paying attention. GO: So, it felt good to acknowledge that, with living things, the plan doesn’t have to be rigid. RC: That’s the thing — it’s not written in stone. And it was amazing to realize that we could be more sensitive and adjust the plan. That felt so good. GO: You mentioned the different regions of Guatemala. Are there different tastes that tend to come from these coffees, from the West versus the Center or East of Guatemala? RC: Yes we have three different origins for GO. We have Candelaria, San Antonio and Cubulco. The interesting thing about these three origins is that none of them come from a volcanic, rich soil. This peculiarity makes them a bit different from one another, since soil variability kicks in. 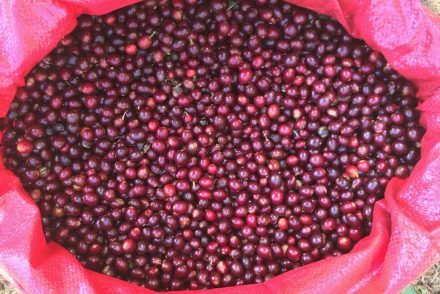 From Candelaria, I feel that it is a very balanced coffee, nice full body, fruit notes with nice brown sugar sweetness and acidity — this is your everyday coffee, to share at home with family and friends. Cubulco has a more intense acidity, inclined to a citrusy taste with a light body, I would say it’s one of the most interesting cups we have. For me, this is a morning coffee to get wired! Nice body with fruit notes. With San Antonio, we have a nice balanced coffee, chocolate notes with nice full body, soft acidity. It’s a great afternoon coffee. GO: What was the last great cup of coffee you had? Samples are Candelaria, San Antonio and Cubulco are now available, and boxes can be pre-ordered. We expect to be shipping boxes by June 15.